I would like to preface today’s column by setting the record straight on a small but totally important point. In an otherwise brilliant and flattering introduction to Puawui’s return, a statement is made that needs correction, and I do so with the greatest respect. It states that, I had all along been a supporter of retired Brigadier Julius Maada Bio, in the campaign for the position of flag bearer in the 2012 presidential election. The fact of the matter is that, I neither backed Bio, nor campaigned on his behalf or that of any of the nineteen contestants – all of whom, with the exception of one, sought my moral support in the contest. The approaches were done in the traditional African way, with a “token handshake” of a few Thousand Leones. I thanked each candidate or his/her representative for the honour, but made it very clear that in my position of one who was seeking a compromise among the contestants, I would disqualify myself if I backed anyone. In fairness to them, they understood and respected that position. And throughout the campaign, with its many problems and challenges, not one of my colleagues can testify that I canvassed for, or asked any of them to support any aspirant including Bio (Photo). I made the position clear in an SLBC radio interview, while the voting was taking place. However, as soon as Maada Bio was declared the winner, I threw my weight into the national elections campaign, to work very assiduously for the success of our presidential candidate. It was the same way that I supported the late former president Tejan-Kabbah even though I had contested against him for the party leadership in 1996. That is me. I admitted that yes, I was a fool, but one who was sometimes brilliant. Interestingly, the lady marked my 80th birthday by the presentation to me of US$100 and a wall clock with a bold SLPP emblem of the famous palm tree on it. Beautiful and decorated as it was, the clock has never worked, and has been dumped in a corner of my surgery. I may end up sending it for auction, and the money devoted to any charity that preaches good manners. There is something to say for old age. One is excused for saying anything, like thinking allowed, all of which are attributed to old age, which is sometimes compared with childhood. A few misguided people associate what should be an enviable characteristic of old age to dementia. Whatever interpretation is ascribed to my own habit of thinking and speaking out freely, has not affected my own opinion that it is one of the finer points of my character. I therefore offer no apology – if “apropos” (oodat ask you?) I venture another opinion now. And let me say at once, that this is not the meanderings of an octogenarian, but an opinion arrived at from talking to a cross section of people over the last twelve months or a little over. In Sierra Leone today, there are only two candidates whose popularity are unmatched by anyone else. 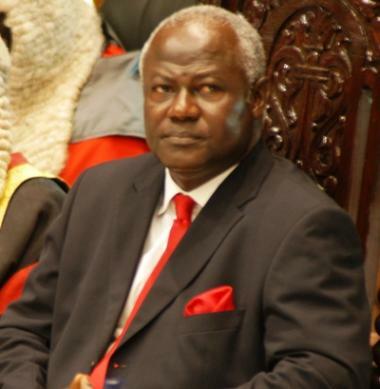 They are Ernest Bai Koroma (Photo) – the current president of Sierra Leone, who is also the chairman and leader of the ruling All Peoples Congress (APC) party. 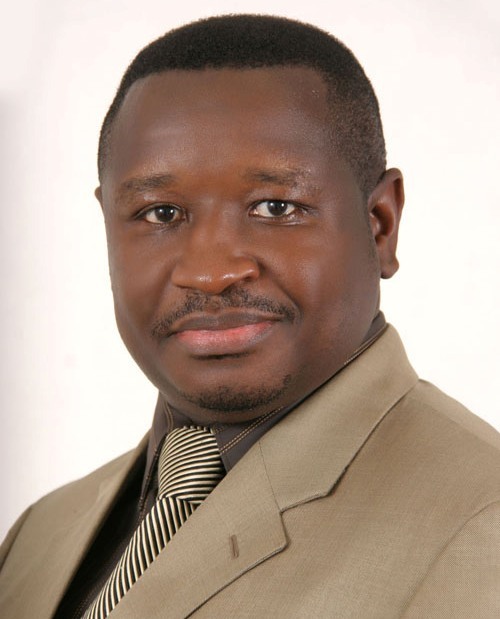 And the other is retired brigadier Julius Maada Bio – the erstwhile flag bearer and 2012 presidential candidate of the opposition Sierra Leone Peoples Party (SLPP). In Ernest’s case, one may say that for now he is the APC, and vice versa that the APC is Ernest Bai Koroma. None of the names of prospective candidates being bandied around for his successor comes anywhere near Ernest – both in charisma and in popularity. Whatever brave face the APC leadership may be putting on, this situation is almost a nightmare to the general membership, as the clock ticks (not too slowly for that matter) towards the end of president Ernest Bai Koroma’s second and final term, regardless of the boot-licking and sycophantic lullabies of Logus Koroma and his cohort (Photo). 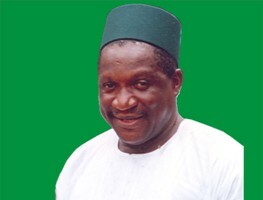 Within the SLPP opposition, even those who are uncompromisingly opposed to Maada Bio, such as John Oponjo Benjamin, Andrew Keilie, Joe Kallon, John Karimu, and others, acknowledge that unless they rally behind a single popular candidate (an Achilles tendon of the party) within that group – and even with that, theirs would be a formidable task to match the popularity of Maada Bio today. 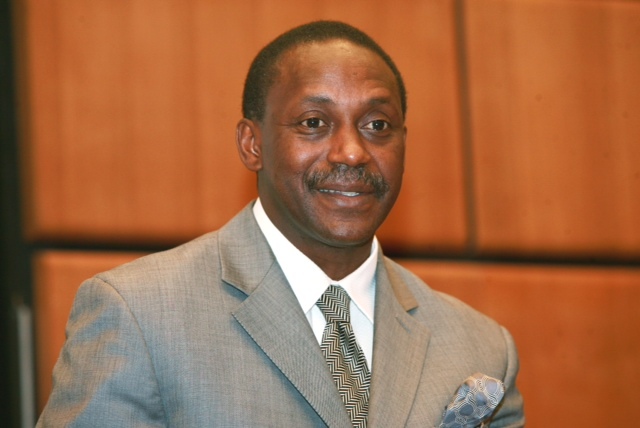 There is plenty of talk and expectations of the yet-to-be- declared candidacy of Dr. Kandeh Yumkella (Photo) – an equally charismatic young man, both well cultured and pleasant mannered. Unfortunately for the doctor and diplomat, most of the grassroots members of the party already regard his candidacy, not in its own right, but as the product of the have-been group who appear desperately to spite Bio. They see the Benjamin group rightly or wrongly, now regarded as old and been-there-before, and in their minds – tired as well. 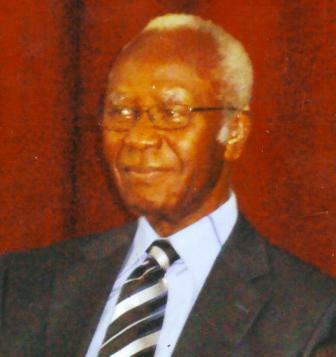 Ambassador Alie Bangura (Photo), who has all the qualities of an effective leader and chairman, has unwittingly been dragged into this quagmire. For the records, I have every personal reason, not even to say a single word in favour of Maada Bio, and he knows that. But to me, the SLPP looms much bigger than Puawui or anyone else. A new crop of impartial and perhaps mostly younger people, like the members of CUT, need to persevere in their recent efforts at reconciliation. Sadly, I have to admit that my younger friend – the former vice president and SLPP candidate, has disqualified himself by his association with the other faction, and not in an advisory capacity at that. The old order must therefore give way to the new. Ask those who participated in Rex Bonopha’s recent Kenema wedding, and they would tell you. There is this single myth of Maada Bio being regarded as the most popular presidential candidate, and therefore cannot be easily contested against. It is unfortunate that even the so called educated folks in the SLPP party are falling for this notion. The goal of education is to prepare the mind to look way beyond the horizons of the average minds. Narrow reasoning is self destructive. The 2010 Flagbearer election, I understand was free and fair. That was good, and Bio won. However the elected flagbearer they believed in so much, came up empty handed on the national stage and lost the 2012 national elections woefully. None of the party elders have ever attempted to take an introspect and try to see where the delegates and the party as a whole went wrong. For them, the only reason they lost the elections was because of mass rigging. But the gap between Bio’s votes and Koroma’s was too huge to account for foul play, my dear friends. OK let’s assume there was extensive rigging. Where was the SLPP vigilante that Sierra Leone as a nation needed so desperately, in order to put rampant corruption to rest ? If the party cannot stop such “malpractices” how can they stop corruption at national level if they had won? Prince Harding made this same remark about Bio being the most popular candidate on the monologue talk show, and this is currently being echoed by another party elder – Sama Banya. But being popular does not guarantee a win. A candidate can be popular, but not sell-able, as was the case in 2012. I don’t know what Dr. Banya means when he states that Kandeh Yumkella is not known among the so called SLPP grass roots. Let me assure Sama Banya that POPULARITY in not congenital. None of us were born popular. The SLPP needs a candidate that can appeal across the green line, into the red territories of the APC, and of course the mixing bowl of the western area. The candidate of choice should have less baggage than the one presented in 2012. Most importantly,this candidate should be sell-able. When all these attributes are met, then “Popularity” is swiftly garnered. The SLPP team is blessed with so many good players, but BAD managers. Its not too late for the SLPP to go back to the drawing board and plot the way forward, using common sense, rather than treating their members as scapegoats, with verbal insults and physical harm. It is terribly wrong for Sama Banya and others to think that Bio will win power in Sierra Leone. Sama Banya claimed Bio’s popularity is unparalleled to any other party leader, with the exception of Ernest. Bio is popular to the SLPP youths and to a cross section of the Mende people. There are certain groups of Mendes who will vote for any SLPP candidate for the sake of the palm tree, or because the candidate is a Mende. it is among these groups Bio is renowned. The SLPP misunderstood the political landscape of Sierra Leone, after the overthrow of Momoh’s APC, which eventually led to a SLPP government. During that period, the SLPP government was of the opinion that: “it is our turn” APC is dead, and they have to rule for twenty seven years just like their predecessor. What they failed to understand was that the twenty seven years of APC undemocratic, despotic and stagnated rule, took place at a time when most Sierra Leoneans cared less about what was happening around them. And the level of understanding was below par. In this modern era, it is difficult for any individual or political party to hold Sierra Leone to ransom. Even though Bio has not been tried in a court of law for any alleged crimes, he was part and parcel of a regime that majority of Sierra Leoneans embraced, only to become a regime that was heartless and dumped the country into decadence. SLPP should come up with a candidate that has admirable credentials, and can organise themselves to mount a formidable opposition that will be able to dig out and oppose the present government. There can be no development economically and democratically in any country, where there is no strong opposition. Yankuba Kaisamba, why don’t you for goodness sake stop calling a spade a garden fork? Lets call a spade a spade. All Puawui is saying is, this is about popularity: This is politics and it goes with popularity. We cannot gamble with 2017/2018 election by letting a stranger lead us as a flag-bearer, because few others hate the popular candidate ( Maada). The fact is that Maada is the only ultimate choice. Call us pa-o-pa or any other ugly names – we love this guy. Samuka KAWA, I am in the middle of writing a major article to dislodge the myth about Bio’s popularity for publication in Freetown. I will prove this on two fronts: That his popularity in the SLPP is factional; and that he could not appeal to the national electorate – hence losing by a landslide. 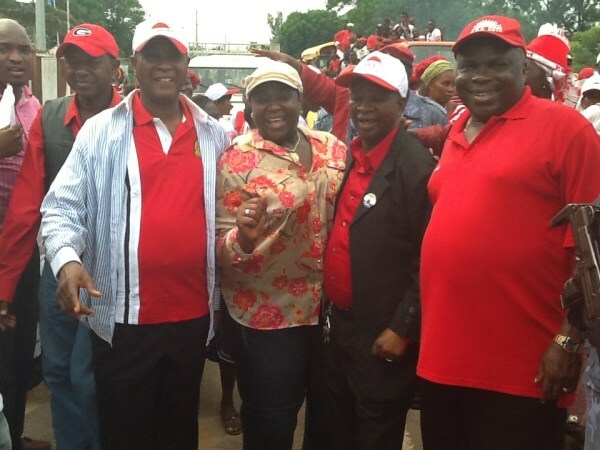 Anyone who was elected as the SLPP flagbearer would represent the SLPP and take with him the SLPP supporters and bases. Berewa who was widely believed to be unpopular, pulled a bigger percentage of votes than Bio, despite the huge votes which the PMDC split took away from the SLPP. This idea that Bio is the most popular, and yet he could not win an election is a very stupid argument indeed. I am not dissappointed by this article, in which Sama Siama Banya’s brazen attempt to deny that he had all along supported Julius Maada Bio since the 2010 SLPP flagbearer election. In this article, his assertion that Julius Maada Bio is the only popular politician that matched president Koroma, is a load of misinformation crafted to surreptitiously campaign for the re election of Bio. This is no different from what the other pa-o-pas have been posting that Bio is the most popular. Sama Banya used this same tactics of scaremongering and blackmailing in the election hall for the SLPP flagbearer in 2010, when he warned the delegates not to disregard the will of the grass roots. As far as he was concerned, Julius Bio was the grass roots candidate, and therefore the delegates should not ignore the wishes of the grass roots supporters. My brother Charles Margai was also given a platform, and he accentuated Banya’s warning to say that he had the grass roots support when he contested against Solomon Berewa. But the election was skewed in favour of the latter, hence he warned against repeating the same error in the 2010 flagbearer election. But did Charles really want Julius Bio to become president of Sierra Leone? I honestly did not think so. I will be making a substantial refutation of why Sama Siama Banya is not telling the truth about his fanatical support for Julius Bio. But first, I will wait for the other article which I have sent to this widely read and respected media to be published. The fight is now on, and moving closely, but surely to the doors of those who should be exposed in order for the SLPP to regain the trust of the people of Sierra Leone.